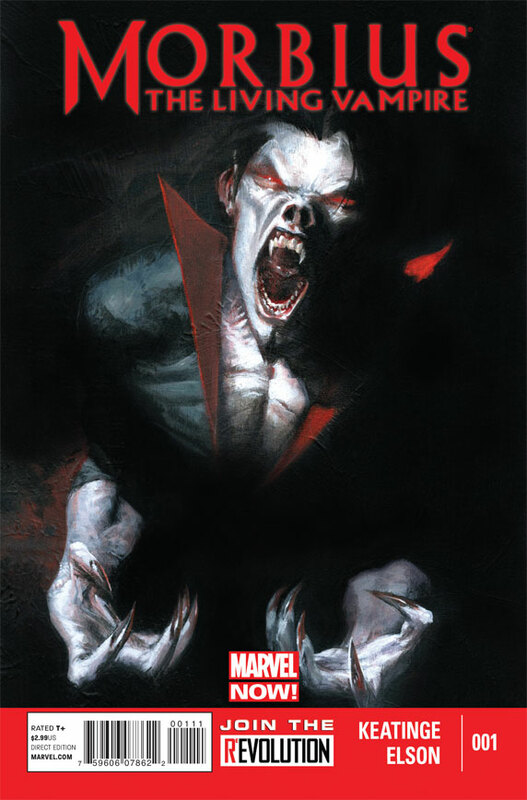 For characters who have been spawned from the Amazing Spider-Man series, Morbius the Living Vampire has always been on the lower end of my emotional attachment scale. It’s not that he doesn’t have an interesting back story, but I’ve always felt the character comes across better conceptually than in living color. Additionally, I’ve never been a big fan of the occult – monsters like vampires, mummies or werewolves – so I think the thrill and allure of Morbius has long been lost on me. With that said, I have to think that Morbius deserved a lot better for an inaugural issue of his own Marvel Now series than what he got earlier this month. It’s not that the first issue was actively “bad” in any way, but it just felt like it completely missed the general essence of who Morbius is and why anyone who’s been a long-time fan of Marvel should care about him. Maybe that’s exactly what Marvel is going for – putting a fresh coat of paint on an otherwise dated character that was essentially Roy Thomas’ answer to the dissolution of the antiquated comics code which outlawed supernatural monsters like Dracula. Either way, I still think this new series misses its mark. In my limited understanding of Morbius, I’ve always perceived him to be a monstrous character. Sympathetic, sure. But unquestionably monstrous. There’s good reason for Spider-Man to feel betrayed by the fact that someone of Morbius’ ilk is working under his nose at Horizon Labs when that storyline was explored during the Lizard arc in ASM last summer. 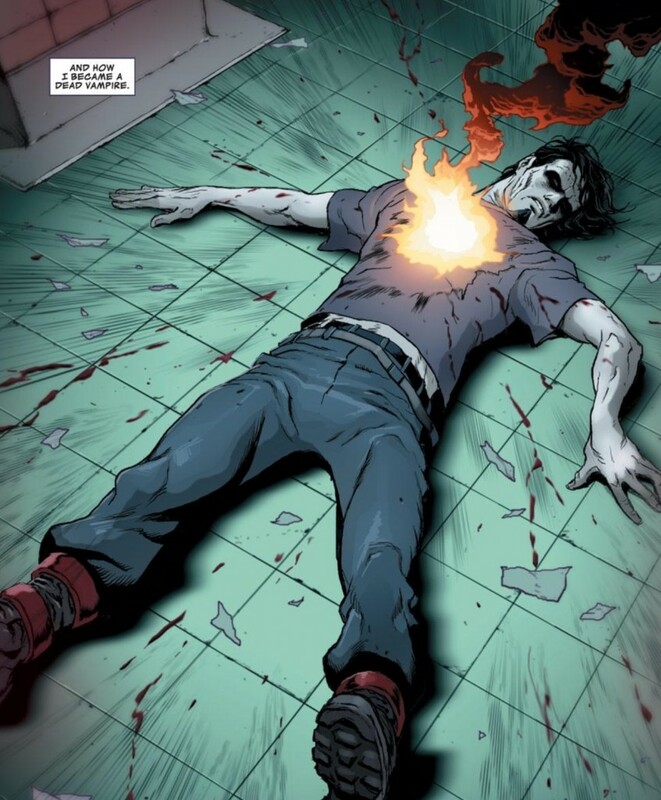 This is a character that would stop at nothing to find a cure for the rare blood disease that ails him, which includes attempting to kill Spider-Man like he did when Morbius was first introduced in ASM #101, or digging up the remains of a dead child, as he did this past summer in ASM. Additionally, the guy has a chip on his shoulder similar to Doc Ock. Of course the reader is also made to feel bad for Morbius since we come to know that he was a brilliant scientist who through radiation and bad luck has taken on this monstrous form. But he’s sympathetic in a way that the original Eddie Brock’s Venom was when he was first introduced in the late 1980s. Morbius is very much guided by his motivations, and his actions are very rarely selfless unless he stands to benefit in some way. Everything about this Marvel Now reboot – which I may stick with for another issue or two just to see if this was just an opening stumble (if this is how the series is going to read permanently, I’ll likely drop it later this month) – takes the appropriate edge away from this otherwise unique character. 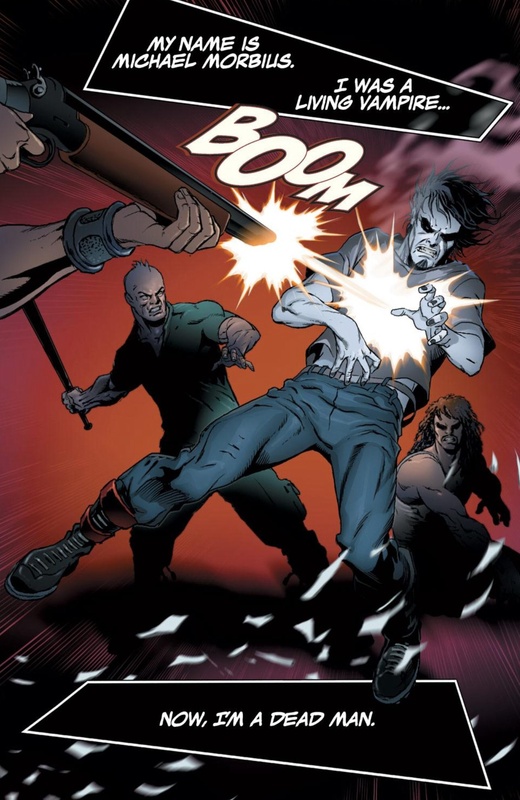 Morbius moves to the Brownville section of Brooklyn to give the setting a sense of “grit,” but rather than show him holding his own in a tough neighborhood, Morbius comes across more as some kind of hipster derelict, eating trash and inviting beat-downs from the area’s respective alpha males. Some kind of supporting cast to latch on to is pretty non-existent, which is a pretty stunning failing for a new comic book series. Just a year earlier, Marvel launched Scarlet Spider which brought Spidey’s clone Kaine into a wholly unique universe, including a different city altogether in Houston, along with a bunch of characters that piqued my interest on first reading. I’m not 100 percent sure why I’m supposed to care about this young couple Morbius encounters in the first issue, Noah and Wanda, besides the fact that they were intentionally put in there by the creative team, so I guess we’re going to go back to them at some point. Which leads to the other major failing of this debut issue. The comic suffers from doing way too much “telling me” rather than “showing me.” There’s a very meta section in the beginning where Morbius explains how he’s not like those “other” vampires, but other than winking and nodding at our current “Twilight” and “True Blood” obsessed culture, the narrative doesn’t really do anything that shows how this character is someone we should take more seriously than Edward or Bill Compton. There’s even a short “glamouring” sequence in there, which was not one of Morbius’ powers that I ever remembered, and thus seemed to be more poking and prodding at pop culture vampires than necessary. It seems that in trying to distinguish what a bunch of sissies all those other vampire characters are, Marvel was going out of its way to also welcoming fans of Twilight and True Blood into the flock by being so cutesie, cutesie about the whole thing. Again, this does not mean that writer Joe Keatinge necessarily did a bad job with this issue. It just didn’t totally ring true for me in terms of characterization. In fact, after giving it an initial read, I was moderately entertained by the story, the unique form of narration and storybuilding, and of course Richard Elson’s art was pretty solid throughout. But then after giving the issue a lot of time to marinate (more than four weeks by my count), I just have a hard time moving past the fact that this is a comic book that’s supposed to be about Morbius the Living Vampire, not Michael, the pasty-faced, hoodie-wearing hobo from Brooklyn. Like I already said, I’ll give this comic a little longer on the test scale, just because I’ve always been interested in seeing characters that seem like true creations of the Spider-Man universe get their own title (outside of Punisher, who I cooled on pretty quickly as a leading superhero). But if this title is going to continue to distance itself from the heart and soul of this character, than I’m just reading some Marvel reinvention of the vampire story, which is not enough to get me to shell out $3 every month. “glamouring”? Have a little more respect for the character, please. Morbius has been able to HYPNOTIZE (use the Non-new word, please) since 1992. Morbius The Living vampire Volume 1, 1992.